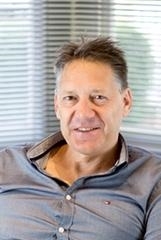 Andrew Constable Dip.ME MA created ACCAD drafting in 1988 to supply the local South Australian market with a professional AutoCAD design service. After many years accumulating a broad and significant Australian client base, major London clients were added to the portfolio. We operate across the engineering disciplines of mechanical; building services and structural; process, piping and logistics; civil/GIS infrastructure and electrical schematics. Originally utilising Autodesk AutoCAD 3D for modelling and 2D detailing, then adding Plant 3D and MEP for comprehensive process and building services design, as-builts and interfacing. From ideas, proposals and concepts to design layouts, assemblies and details. Peruse our extensive client list here or give us a call for any cad outsourcing requirement.